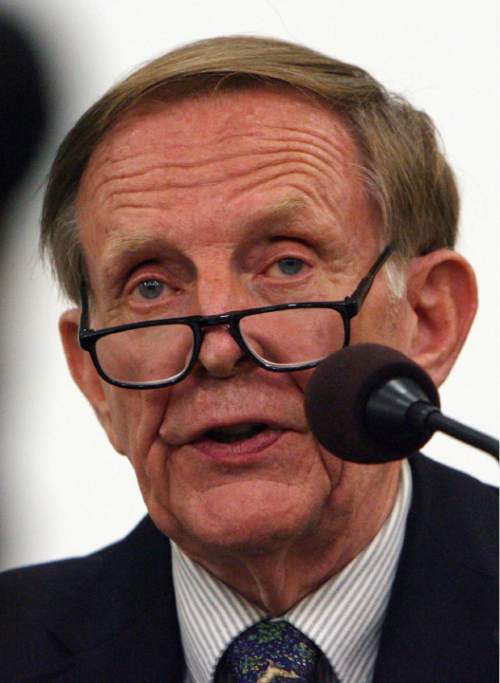 Steve Griffin | The Salt Lake Tribune Richard Bushman, speaking in 2011, says addressing the problematic episodes in Mormon history will, in time, strengthen the LDS faith and the faithful. Ten years and many critical Internet posts ago, Richard Lyman Bushman&apos;s award-winning biography of Mormon founder Joseph Smith seemed, maybe, a tad too honest, too warts-and-all for some churchgoing Latter-day Saints. Oh, what a difference a decade makes. Now Bushman is widely referenced in the faith&apos;s recently published essays aimed at helping devout members and skeptical outsiders better understand the sometimes-thorny theological and historical issues surrounding Smith and early Mormonism. And Bushsman&apos;s 768-page volume, "Rough Stone Rolling," is not only acclaimed but also considered a must-read by many Mormon historians, scholars and regular members of The Church of Jesus Christ of Latter-day Saints. "Every church leader, teacher and mentor in the church should read the book, if only to answer others&apos; questions," J. Stuart of Juvenile Instructor argues at the Mormon blog, By Common Consent. "If you have not yet had questions about Joseph Smith&apos;s teachings that can&apos;t necessarily be readily found in a Sunday School manual, you will." To that end, Juvenile Instructor, one of the premier websites for LDS history, is sponsoring an online summer book club for those who want to read Bushman&apos;s account. Starting May 10, authors on the website&apos;s Facebook page, Stuart writes, will "read a few chapters a week, provide readable analysis, and answer questions in the comments." Mormon blogger Jana Riess adds an enthusiastic endorsement of the project. Bushman, emeritus professor of American history at Columbia, was one of Riess&apos; professors in graduate school. 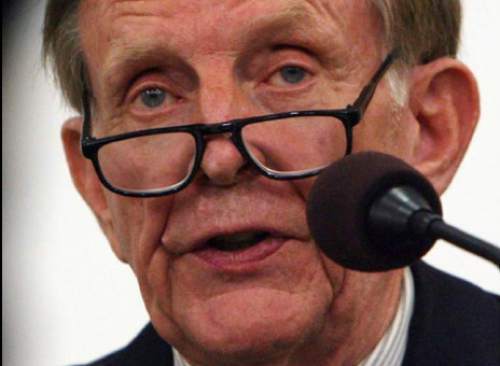 It was, the LDS writer declares on Religion News Service, "a huge privilege for me since he is one of the world&apos;s top historians of Mormon and American history. The guy won the Bancroft Prize, for crying out loud." The historian also served as a Mormon bishop and is a longtime stake patriarch, Riess writes, with "a strong faith and a beautiful heart." His "meticulously researched biography of Joseph Smith does not shy away from the hard questions. It doesn&apos;t hide the facts," she writes. "It does, however, try to understand those facts in context, so that Smith emerges as a worthy, if complex and even tormented, religious founder." She and Stuart urge Mormon readers  especially those who have purchased but never finished the book  to join the club.